The Investor’s Edge University, Dwanderful.com, Financial Freedom, LLC, Millionaire Mindset, LLC and any other entities associated with this site provides its clients with access to a variety of products and services, including without limitation the The Investor’s Edge University Home Study Course, Dwanderful.com, Financial Freedom, LLC, Millionaire Mindset, LLC and any other entities associated with this site, the Exclusive Newsletters (available in multiple delivery options), Personal Mentoring/Coaching, and access to this Internet Site (all of which are referred to herein collectively as the “Products and Services”). Investors Edge University, Millionaire Mindset LLC, and Certified Investor Gear, Dwanderful.com, Financial Freedom, LLC, Millionaire Mindset, LLC, Colorado REIA, LLC and any other entities associated with this site, Denver Colorado based and Florida Corporations that conducts business as Investor Edge University and companies and/or any of its d/b/a entities, and/or its subsidiaries and/or affiliates. Purchaser realizes that any downloadable programs that are purchased through the Dwanderful.com or its’ subsidiaries offer no return policy. Once the product has been sent via-email the purchaser agrees there is NO refund policy and agrees not to open a dispute with their credit card company. By clicking on the “I accept” box I am agreeing to these terms. I also have read the following and agree to the following, “I understand and I waive my right to call my credit card company and dispute any of these charges. 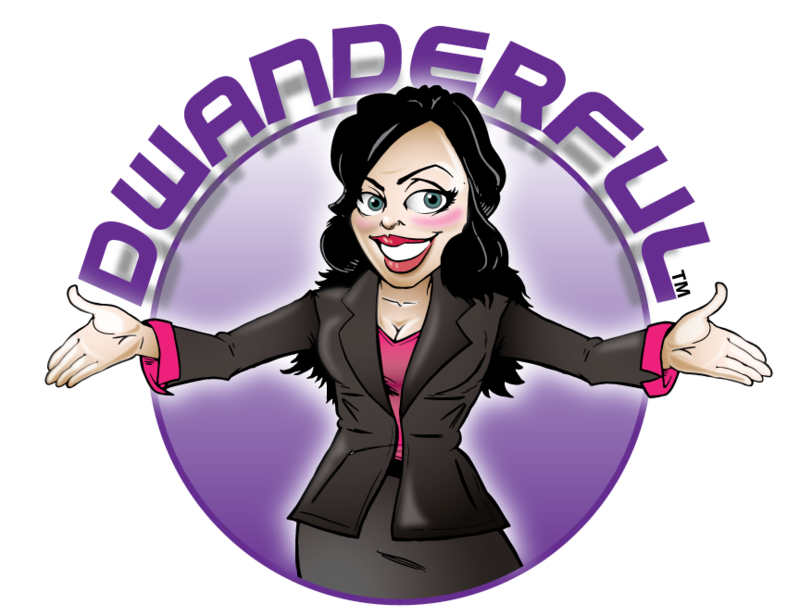 All of the Products and Services provided to you by Dwanderful.com, Financial Freedom, LLC, Millionaire Mindset, LLC and any other entities associated with this site via this Internet Site are provided subject to the following terms. Additionally, you further understand and agree that where there is no conflict with other written agreements, all of the Products and Services provided by The Investor’s Edge University, Dwanderful.com, Financial Freedom, LLC, Millionaire Mindset, LLC and any other entities associated with this site, including any updates, enhancements, new features, and/or the addition of any new information, whether provided via this Internet Site or via other medium, are also subject to these TOU. BY USING THIS SITE AND BY PURCHASING ANY THE INVESTOR’S EDGE UNIVERSITY PRODUCTS, Dwanderful.com, Financial Freedom, LLC, Millionaire Mindset, LLC and any other entities associated with this site AND SERVICES, YOU AGREE TO BE BOUND BY THE TERMS AND CONDITIONS SET FORTH BELOW. The Investor’s Edge University, Dwanderful.com, Financial Freedom, LLC, Millionaire Mindset, LLC and any other entities associated with this site reserves the right to update these TOU without prior notice to you. The most current version of the TOU can be reviewed by clicking on the “Term of Use” hypertext link located at the bottom of our Web pages. Once you have paid for any of the Products and Services, you are expected to participate in the training program and successfully complete that program within 90 days of your purchase. Once you have completed that training period, extended Support and membership plans are available to provide email, phone and coaching support to explore which support plan is right for your needs. The Products and Services are offered and provided solely for your personal and non-commercial use. You may not modify, copy, distribute, transmit, display, perform, reproduce, publish, license, create derivative works from, transfer, or sell any information, products, goods or services obtained from the Services. As a condition of your use of the Products and Services, you will not use the Products and Services for any purpose that is unlawful or prohibited by these TOU. All information produced on our Internet Site or through the Products and Services is the property of The Investor’s Edge University, Dwanderful.com, Financial Freedom, LLC, Millionaire Mindset, LLC and any other entities associated with this site or its content suppliers and is protected by United States copyright law. Nothing on this Internet Site or in the Products and Services shall be construed as conferring any license of any of The Investor’s Edge University’s or any third party’s intellectual property rights. If you receive a password and account designation with regard to this Internet Site, you agree to be solely responsible for maintaining the confidentiality of your password and account, and further agree that you are fully responsible for all activities that occur under your password or account. You agree to immediately notify The Investor’s Edge University of any unauthorized use of your password or account or any other breach of security. As a condition to your access to some or all of the Products and Services, you must provide The Investor’s Edge University,Dwanderful.com, Financial Freedom, LLC, Millionaire Mindset, LLC and any other entities associated with this site with a valid credit card and/or debt card number. Any such card must belong to you and must have sufficient credit or funds to pay the fees associated with your purchase(s) of the Products and Services. Your card will be automatically debited for all fees associated with the Products and Services provided. In the event you cancel the card provided to The Investor’s Edge University, Dwanderful.com, Financial Freedom, LLC, Millionaire Mindset, LLC and any other entities associated with this site, you must immediately provide The Investor’s Edge University with a new card number to continue access to the Products and Services. You authorize The Investor’s Edge University, Dwanderful.com, Financial Freedom, LLC, Millionaire Mindset, LLC and any other entities associated with this site to make charges to your card based on your purchase(s) of the Products and Services. You agree to pay for all fees incurred in connection with your use of the Internet Site, including connection, ISP, and long distance charges. In addition, The Investor’s Edge University, Dwanderful.com, Financial Freedom, LLC, Millionaire Mindset, LLC and any other entities associated with this site may charge additional fees to access to some or all of its Internet Site. The Investor’s Edge University may change its Internet Site fees or add new fees by providing you with advanced notice, which may be provided via this Internet Site. YOU EXPRESSLY AGREE THAT YOUR USE OF THIS INTERNET SITE AND THE PRODUCTS AND SERVICES OFFERED BY THE INVESTOR’S EDGE UNIVERSITY, Dwanderful.com, Financial Freedom, LLC, Millionaire Mindset, LLC and any other entities associated with this site (WHETHER PROVIDED VIA THIS SITE OR ANOTHER MEDIUM SUCH AS NEWSLETTERS) IS AT YOUR OWN SOLE RISK, ALL SUCH PRODUCTS AND SERVICES BEING PROVIDED TO YOU WITHOUT ANY WARRANTIES OF ANY KIND, EITHER EXPRESS OR IMPLIED. TO THE FULLEST EXTENT PERMISSIBLE PURSUANT TO APPLICABLE LAW, THE INVESTOR’S EDGE UNIVERSITY DISCLAIMS ALL WARRANTIES, EXPRESS OR IMPLIED, INCLUDING, WITHOUT LIMITATION, IMPLIED WARRANTIES OF MERCHANTABILITY, FITNESS FOR A PARTICULAR PURPOSE, AND NON-INFRINGEMENT OR OTHER VIOLATION OF RIGHTS. THE INVESTOR’S EDGE UNIVERSITY MAKES NO WARRANTIES OR GUARANTEES OR REPRESENTATIONS REGARDING THE USE OR THE RESULTS OF THE USE OF ANY OF THE PRODUCTS AND SERVICES OFFERED BY THE INVESTOR’S EDGE UNIVERSITY. IF APPLICABLE LAW DOES NOT ALLOW THE EXCLUSION OF SOME OR ALL OF THE ABOVE IMPLIED WARRANTIES TO APPLY TO YOU, THE ABOVE EXCLUSIONS WILL APPLY TO YOU ONLY TO THE EXTENT PERMITTED BY APPLICABLE LAW, BUT TO THE MAXIMUM EXTENT PERMITTED BY APPLICABLE LAW. YOU EXPRESSLY AGREE THAT THE MAXIMUM LIABILITY OF THE INVESTOR’S EDGE UNIVERSITY, ITS AFFILIATED AND SUBSIDIARY COMPANIES, AND THEIR RESPECTIVE VENDORS, AGENTS, EMPLOYEES, OFFICERS, DIRECTORS, AND ANY PERSON INVOLVED IN THE CREATION, PRODUCTION OR DISTRIBUTION OF THE PRODUCTS AND SERVICES SHALL BE FOR THE PURCHASE PRICE YOU PAID FOR SUCH PRODUCTS AND SERVICES AND NO MORE. ACCORDINGLY, YOU EXPRESSLY AGREE THAT THE INVESTOR’S EDGE UNIVERSITY, ITS AFFILIATED AND SUBSIDIARY COMPANIES, AND THEIR RESPECTIVE VENDORS, AGENTS, EMPLOYEES, OFFICERS, DIRECTORS, AND ANY PERSON INVOLVED IN THE CREATION, PRODUCTION OR DISTRIBUTION OF THE PRODUCTS AND SERVICES SHALL NOT BE LIABLE FOR ANY CLAIMS, LIABILITY, OR DIRECT, INDIRECT, PUNITIVE, ACTUAL, INCIDENTAL, CONSEQUENTIAL, SPECIAL, EXEMPLARY OR OTHER DAMAGES RESULTING FROM YOUR PURCHASE AND/OR USE OF ANY PRODUCTS AND SERVICES WHICH EXCEEDS THE PURCHASE PRICE YOU PAID FOR THE PRODUCTS AND SERVICES. IF APPLICABLE LAW DOES NOT ALLOW THE EXCLUSION OF SOME OR ALL OF THE ABOVE LIMITATIONS OF LIABILITY TO APPLY TO YOU, THE LIMITATION WILL APPLY TO YOU ONLY TO THE EXTENT PERMITTED BY APPLICABLE LAW. HOWEVER, YOU AGREE THAT THE LIMITATIONS OF LIABILITY AS SET FORTH ABOVE SHALL APPLY EITHER AS SET FORTH ABOVE OR TO THE MAXIMUM EXTENT PERMITTED BY APPLICABLE LAW. IF APPLICABLE LAW REQUIRES THAT A WARRANTY MUST SURVIVE, THEN YOU AGREE THAT ANY SUCH WARRANTY SHALL SURVIVE FOR THE ONE DAY ONLY-BEING THE FIRST DAY YOU HAD ACCESS TO THE PRODUCTS AND SERVICES. You understand and agree that the information provided through this Internet Site and any newsletters (which are part and parcel to the reference of Products and Services) may have been obtained from various content providers and sources all believed to be reliable. You understand and acknowledge that the accuracy, completeness, timeliness or correct sequencing of the information contained in the newsletters or on this Internet Site is not guaranteed by The Investor’s Edge University, Dwanderful.com, Financial Freedom, LLC, Millionaire Mindset, LLC and any other entities associated with this site, is not intended to address the specific investment situation, and may not be appropriate for your individual situation. You further understand that the information provided through this Internet Site and/or any newsletters may not be reproduced, retransmitted, disseminated, sold, distributed, published, broadcasted, circulated or commercially exploited by you in any manner without the express written consent of The Investor’s Edge University,Dwanderful.com, Financial Freedom, LLC, Millionaire Mindset, LLC and any other entities associated with this site. All information provided in the newsletters and on this Internet Site is intended for information purposes only and is not a solicitation or an offer to buy or sell securities. Because investing and trading in the financial markets involves risk, The Investor’s Edge University recommends that you do your own research and consult with a registered financial advisor before making any investment decisions. WITHOUT IN ANY WAY LIMITING THE DISCLAIMERS AND LIMITATIONS OF LIABILITY SET FORTH ABOVE, AND AS AN ADDITIONAL RESTATEMENT THEREOF WITH RESPECT TO THE NEWSLETTERS AND THIS INTERNET SITE, NEITHER THE INVESTOR’S EDGE UNIVERSITY NOR ITS DIRECTORS, OFFICERS, EMPLOYEES OR AGENTS SHALL BE LIABLE FOR THE ACCURACY, COMPLETENESS, TIMELINESS OR CORRECT SEQUENCING OF THE INFORMATION IN THE NEWSLETTER OR THIS INTERNET SITE OR FOR ANY DECISION MADE OR ANY ACTION TAKEN BY YOU IN RELIANCE UPON THE INFORMATION CONTAINED THEREIN. NEITHER THE INVESTOR’S EDGE UNIVERSITY NOR ITS DIRECTORS, OFFICERS, EMPLOYEES OR AGENTS SHALL BE LIABLE FOR ANY LOSSES, COSTS, OR DAMAGES, WHETHER DIRECT, INDIRECT, INCIDENTAL, SPECIAL, CONSEQUENTIAL OR EXEMPLARY DAMAGES, INCLUDING WITHOUT LIMITATION DAMAGES FOR LOSS OF PROFITS, GOODWILL, USE, DATE OR OTHER INTANGIBLE DAMAGES OR LOSSES ARISING FROM OR RELATING TO YOUR SUBSCRIPTION TO THIS INTERNET SITE OR THE NEWSLETTERS. IF APPLICABLE LAW DOES NOT ALLOW THE EXCLUSION OF SOME OR ALL OF THE ABOVE IMPLIED WARRANTIES TO APPLY TO YOU, THE ABOVE EXCLUSIONS WILL APPLY TO YOU ONLY TO THE EXTENT PERMITTED BY APPLICABLE LAW, BUT TO THE MAXIMUM EXTENT PERMITTED BY APPLICABLE LAW. This Internet Site may provide links to third-party sites or resources. Because The Investor’s Edge University, Dwanderful.com, Financial Freedom, LLC, Millionaire Mindset, LLC and any other entities associated with this site has no control over such sites and resources, you acknowledge and agree that The Investor’s Edge University, and companies, are not responsible for the availability of such linked sites and is not responsible or liable for any content, advertising, products, services or other materials on or available from such linked sites. Providing these links to you is intended as a convenience, and the inclusion of any link does not imply endorsement by The Investor’s Edge University,Dwanderful.com, Financial Freedom, LLC, Millionaire Mindset, LLC and any other entities associated with this site or the products, services or other materials available thereon. You agree that The Investor’s Edge University, Dwanderful.com, Financial Freedom, LLC, Millionaire Mindset, LLC and any other entities associated with this site, in its sole discretion, may terminate or restrict your use or access to this Internet Site (or any part thereof) for any reason, including, without limitation: a) that The Investor’s Edge University believes you have violated or acted inconsistently with the letter or spirit of these TOU; b) your failure to pay fees associated with the Services; c) discontinuance of or modification to the Services (or any part thereof), or d) technical or security problems or issues. You agree to hold harmless The Investor’s Edge University, Dwanderful.com, Financial Freedom, LLC, Millionaire Mindset, LLC and any other entities associated with this site and its directors, officers, employees and agents from any and all claims, losses, liabilities, costs and expenses (including attorneys’ fees) arising out of or related to you violation of these TOU or any third party’s rights, including without limitation, copyright, proprietary, and privacy rights which may arise as a result of your use of this Internet Site or any of the Products and Services provided by The Investor’s Edge University, Dwanderful.com, Financial Freedom, LLC, Millionaire Mindset, LLC and any other entities associated with this site. We will only contact you by cellular phone if you give us permission, We comply with all federal laws per the FCC concerning text messages and spam. You acknowledge that before being granted access to this Internet Site, you may have completed an oral “compliance” process (“Oral Compliance”) whereby representatives of The Investor’s Edge University, Dwanderful.com, Financial Freedom, LLC, Millionaire Mindset, LLC and any other entities associated with this site orally confirmed your desire to purchase some or all of the Products and Services provided by The Investor’s Edge University. You may have also signed a written “Mentoring Agreement” (“Mentoring Agreement”). You agree that these TOU, together with any Oral Compliance and any written Mentoring Agreement constitute the entire agreement between you and The Investor’s Edge University and that these agreements govern your relationship with The Investor’s Edge University, Dwanderful.com, Financial Freedom, LLC, Millionaire Mindset, LLC and any other entities associated with this site as well as govern your use of this Internet Site. You further agree that the Oral Compliance, Mentoring Agreement, and these TOU supercede any and all other agreements between you and The Investor’s Edge University. If any provision of these TOU is held to be invalid or unenforceable, then such invalidity shall not affect the enforceability of any other provision of the TOU, the Oral Compliance, or the Mentoring Agreement. The failure of The Investor’s Edge University, Dwanderful.com, Financial Freedom, LLC, Millionaire Mindset, LLC and any other entities associated with this site to exercise or enforce any right or provision of the TOU, Oral Compliance or Mentoring Agreement shall not constitute a waiver of such right or provision. By accessing the Site and by using the Products and Services provided by The Investor’s Edge University, Dwanderful.com, Financial Freedom, LLC, Millionaire Mindset, LLC and any other entities associated with this site, you agree that all of the rights, obligations, and duties arising from the Products and Services or this Internet Site shall be governed and construed in accordance with the laws of the State of Pennsylvania, without regard to its conflicts of laws principles. Any controversy or dispute arising out of your use of the Internet Site, or any of the Products and Services provided by The Investor’s Edge University, Dwanderful.com, Financial Freedom, LLC, Millionaire Mindset, LLC and any other entities associated with this site shall be resolved, and if necessary, litigation exclusively in the state or federal courts located in Philadelphia County, Pennsylvania. You further agree that regardless of any statute or law to the contrary, any claim or cause of action arising out of or related to your use of this Internet Site or your use of any of the Products and Services provided by The Investor’s Edge University must be filed within one (1) year after such claim or cause of action arose or be forever barred. In the event The Investor’s Edge University, Dwanderful.com, Financial Freedom, LLC, Millionaire Mindset, LLC and any other entities associated with this site brings any action against you for violation of these TOU, the Oral Compliance or the Mentoring Agreement, or to collect any unpaid fees from you, you agree that in addition to all other remedies and damages that may be awarded, The Investor’s Edge University shall also be awarded reimbursement of its costs and fees (including but not limited to reasonable attorneys’ fees) incurred in such action. The section titles above are for convenience only and have no legal or contractual effect.